Tbis is dark palm trees with a blue sky and yellow sunset. This is a free Florida myspace sunset layout. Perfect way to say I Love Florida! 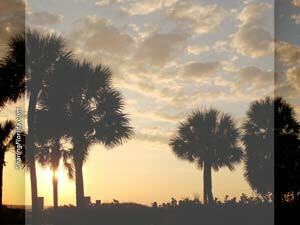 This sunset photo was taken at Redington Beach on the Gulf Coast of Florida. Dark palm trees and blue and yellow sky. Yes, Florida always looks this awesome!